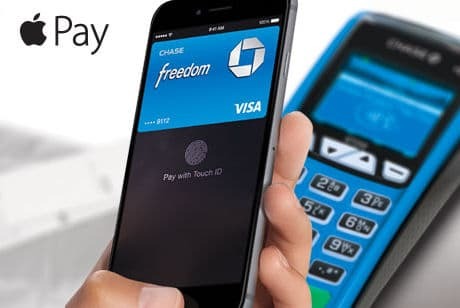 More than a million JPMorgan Chase cards have now been activated for use on Apple Pay since the mobile payment service launched last year, the bank has revealed, and 69% of the activated cards are credit cards. Users are typically younger and have high incomes. “We do want our consumers to use our products in any wallet they want,” Eileen Serra, CEO of Chase card services, explained during the company’s Investor Day. “So we were an early participant in Apple Pay. It’s early days, it’s only been a few months since Apple Pay was launched in the market, but we do continue to see good growth in the number of consumers that are provisioning Chase cards in their Apple Pay wallets. “We’re seeing both mobile, meaning tablet and phone, becoming very significant in terms of how customers are acquiring new cards and it’s the reason why we’re investing so much to build out best-in-class mobile capabilities,” Serra continued. “As the industry evolves, we’re uniquely positioned to deliver these innovative payment solutions to consumers and merchants. “Chase Net is the underpinning of this strategy for us. It’s our own network, powered by Visa, that processes Chase Visa transactions and what’s so important is it enables us to have a direct relationship with the merchants. “The second part of our strategy is around wallets and, while this is very important, it’s still very emerging. Why it’s important is that the use of mobile wallets provides the opportunity to create new and differentiated consumer experiences. “While the wallet market is very fragmented today, we believe we need to be everywhere; we don’t want a Chase customer not to be able to use their card in any wallet. So we’re supporting the different wallets that are out there, we’re also building out our own capabilities as well because, again, what’s most important to us is that consumers have choice and they are the ones that make the decision on where they want to use their cards. “How do we think about a wallet and make it easy for a Chase consumer, because we have 50 million of them, to shop online, to use a mobile device when all they need to have is their Chase log-in credentials. We did a pilot in the fourth quarter with one merchant and we got really great results in terms of learning. “What we found was the ability to use your log-in credentials, not to have to go through a whole separate step to get this put onto your phone, really made a big difference. People liked the seamless way to purchase and merchants also liked the fact that the consumer never left the merchant’s site.